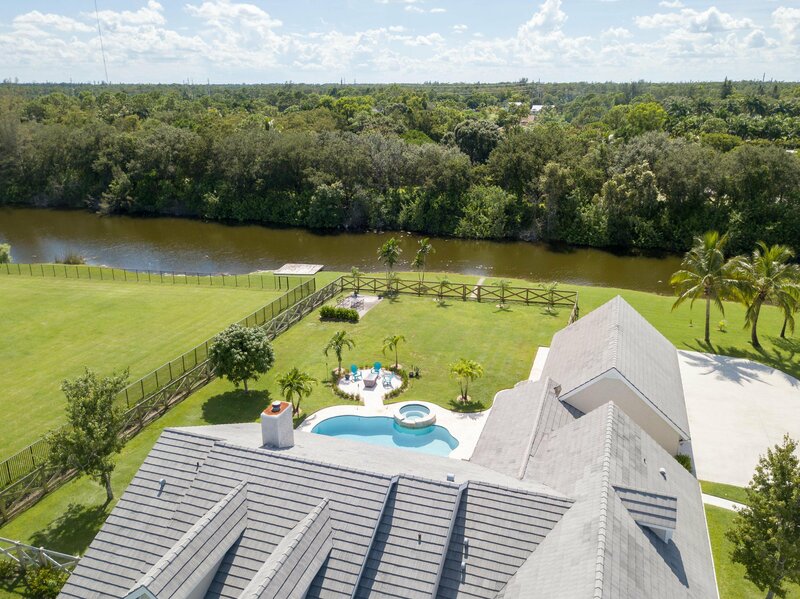 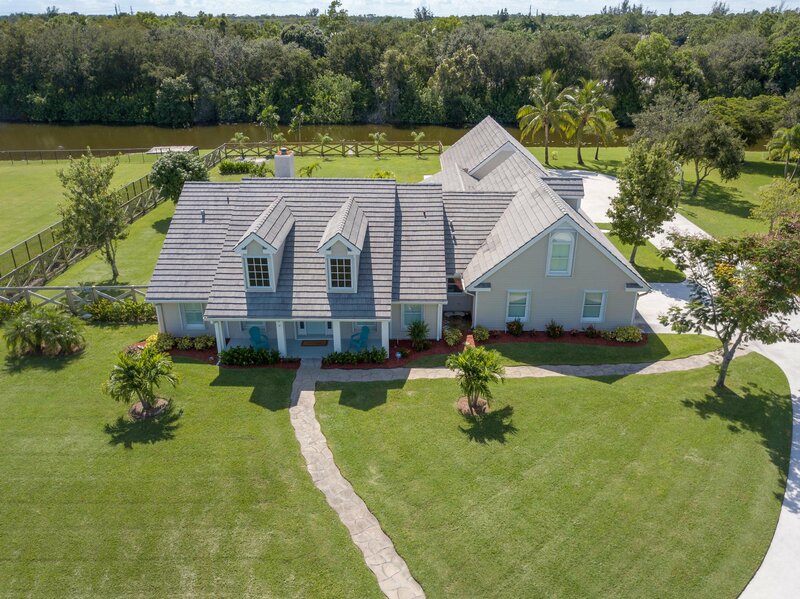 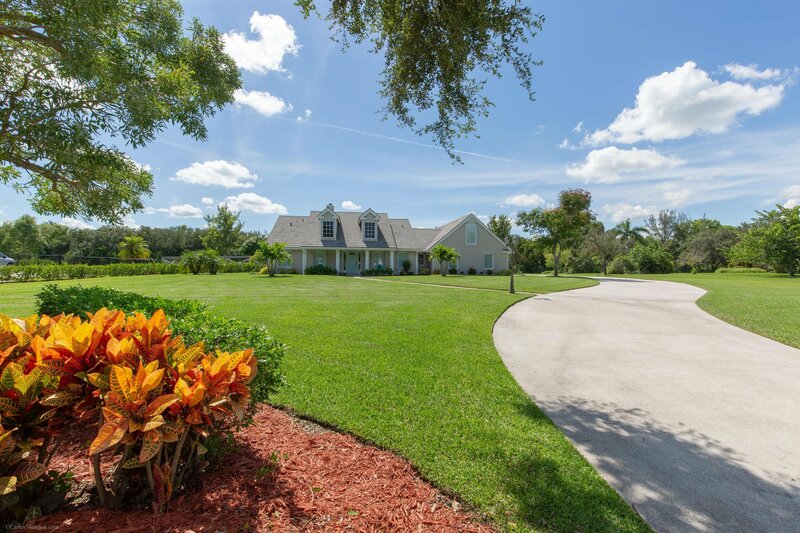 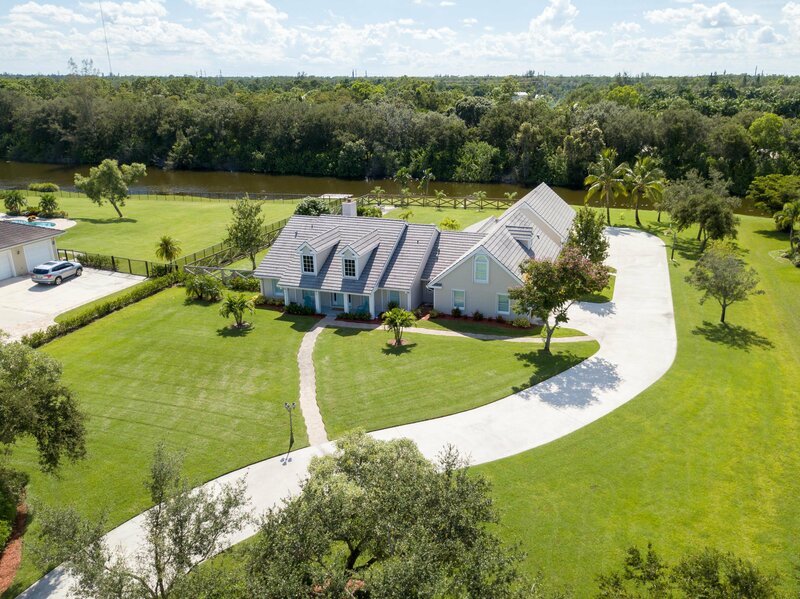 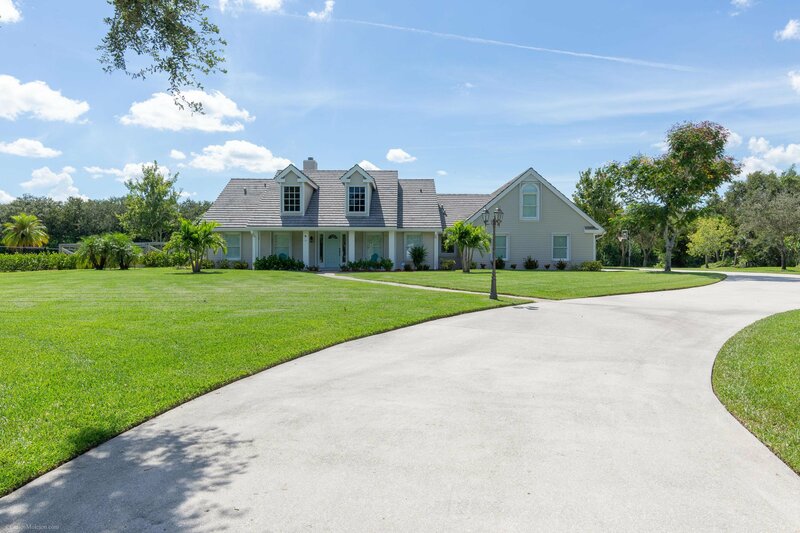 This Custom home sitting on over an acre of land, is located in the exclusive community of Lago del Sol. 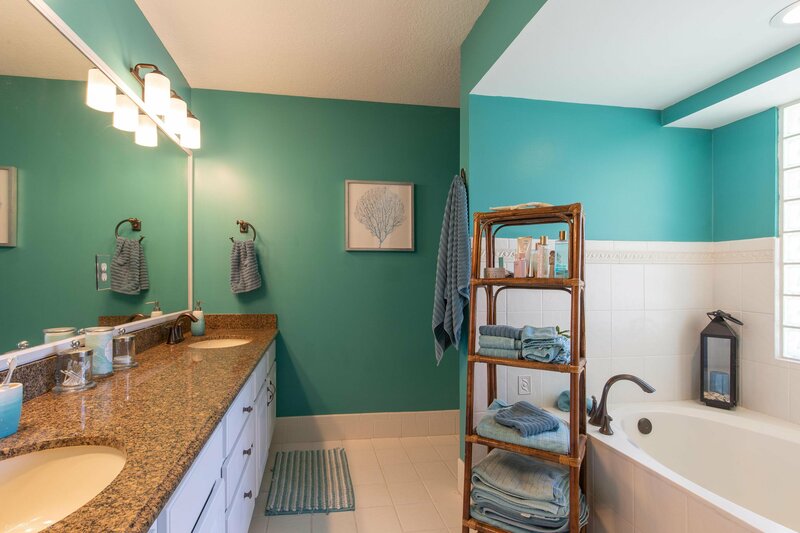 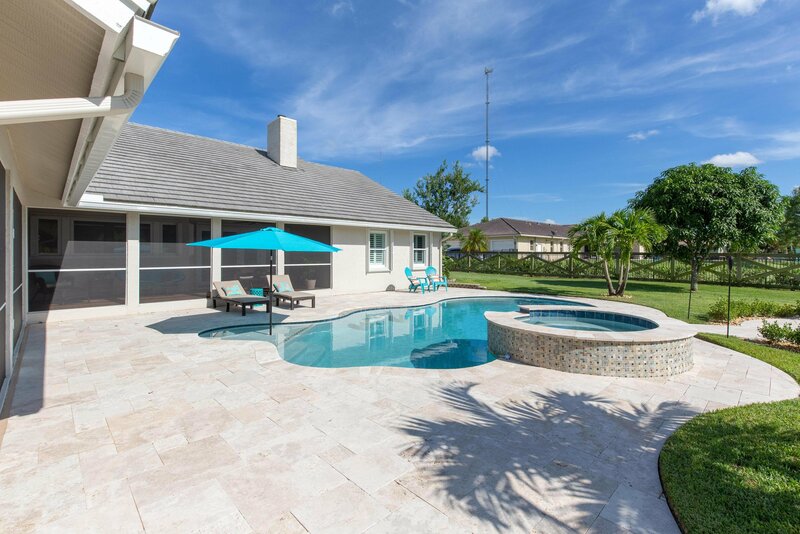 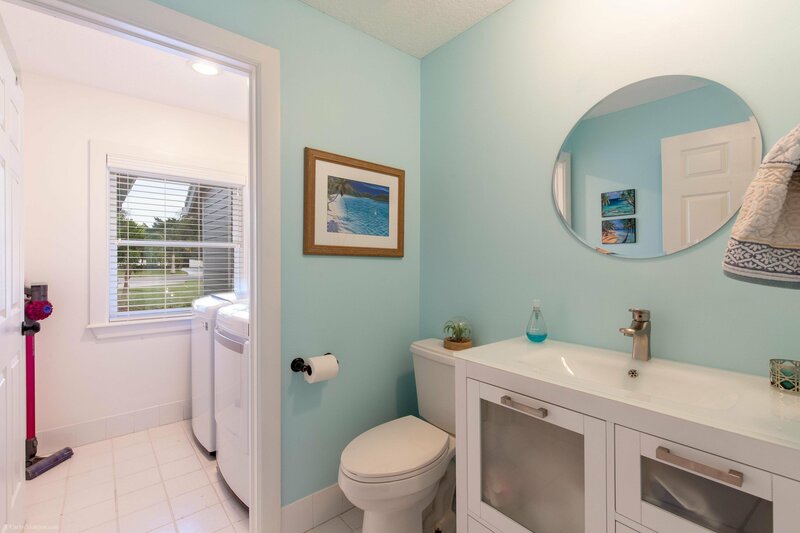 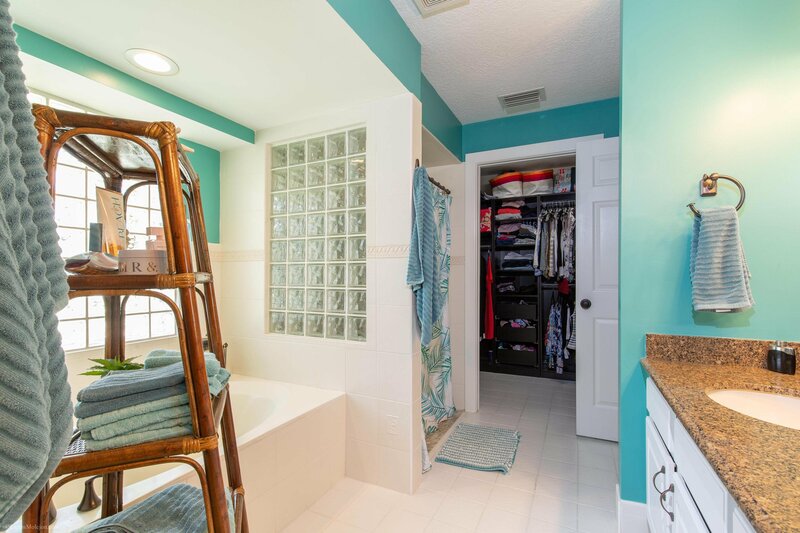 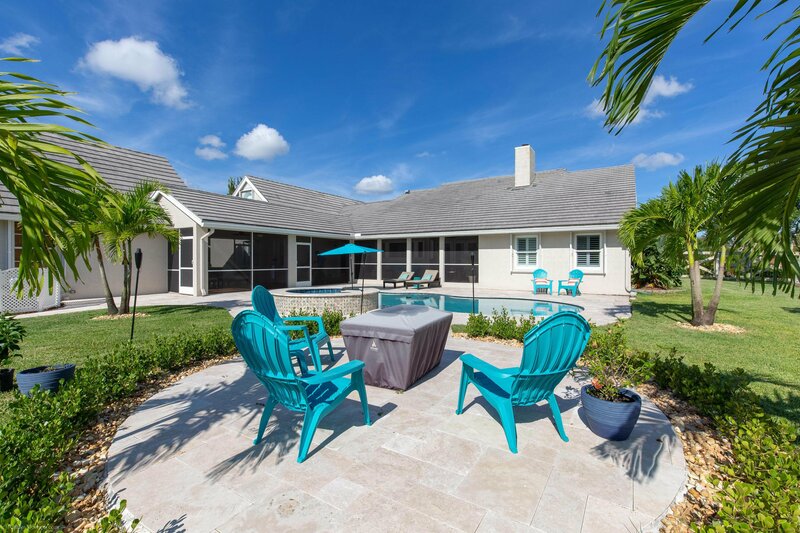 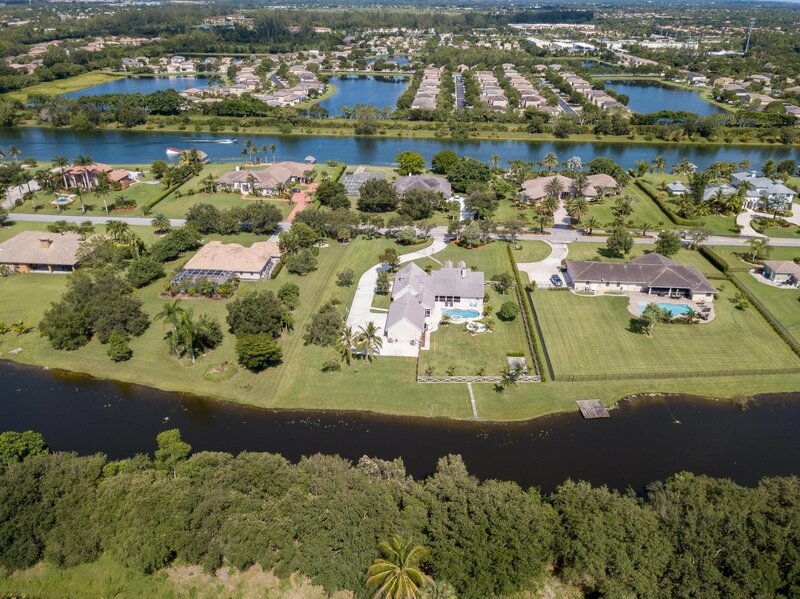 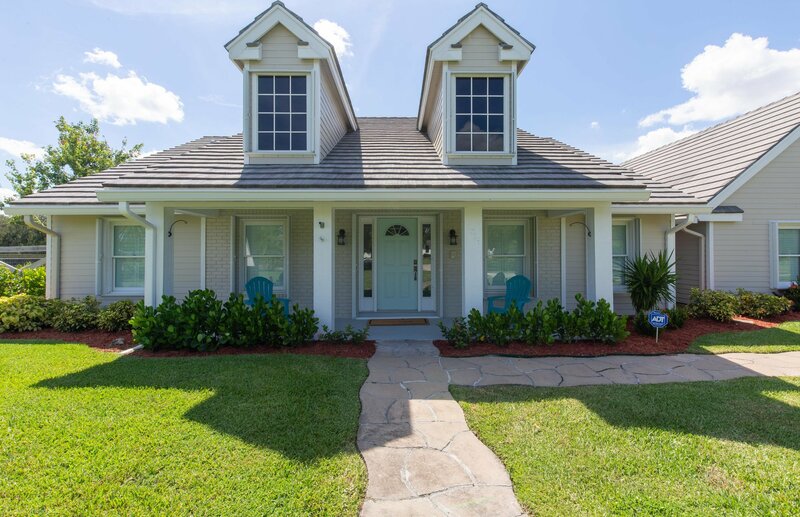 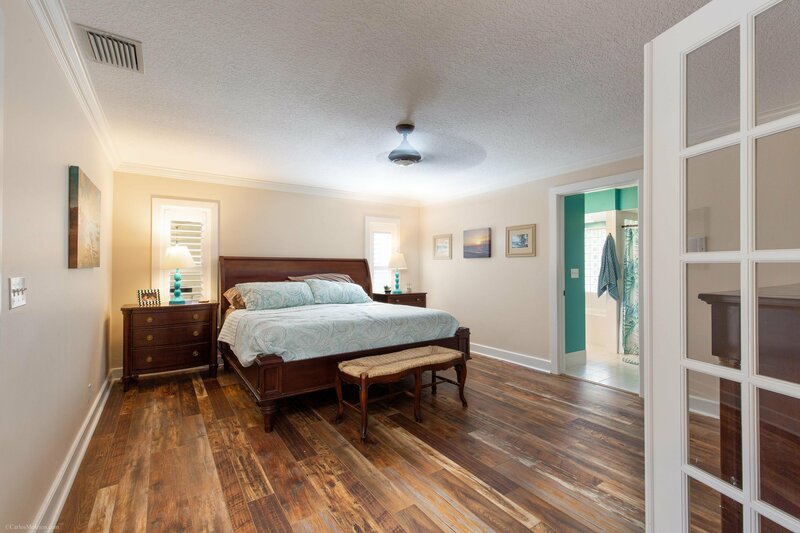 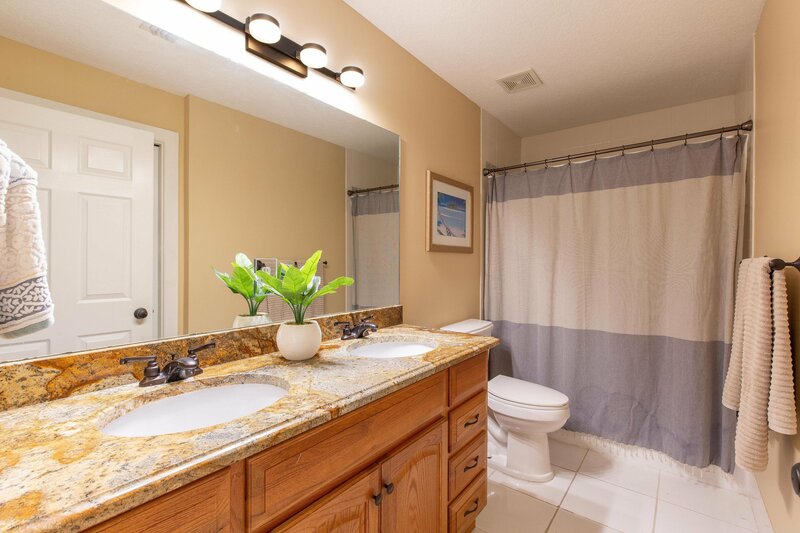 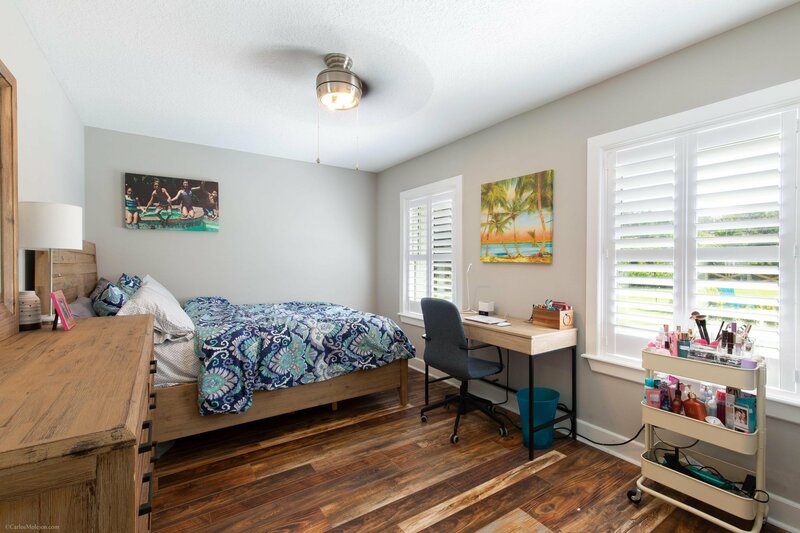 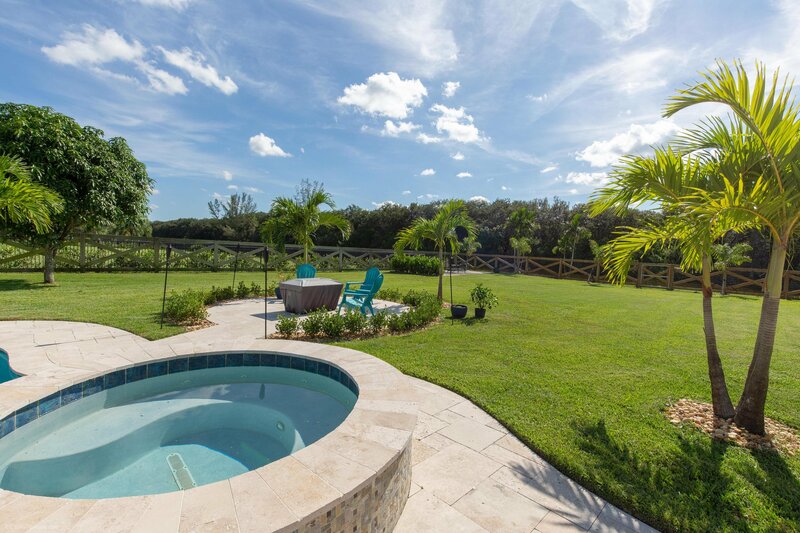 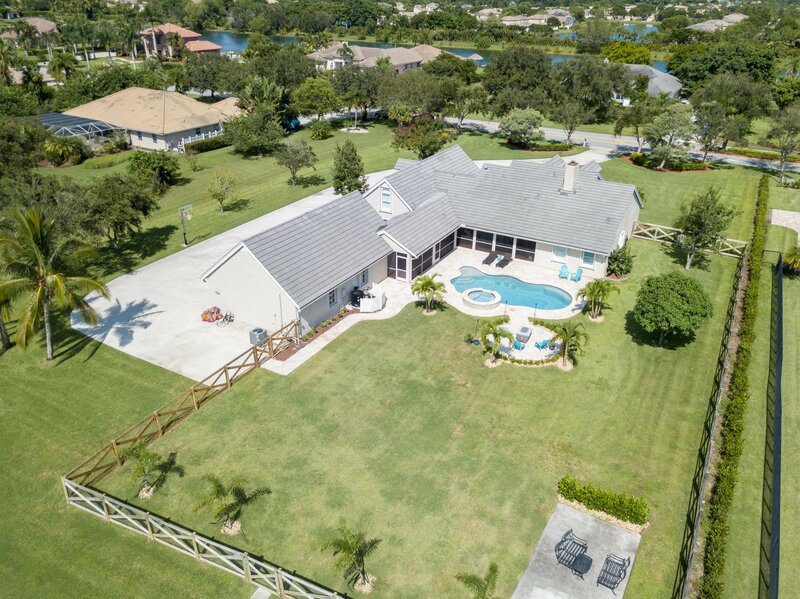 Perfect location for those looking for privacy and the joy of nature, while being only minutes away from the beach, shopping, Palm Beach airport and equestrian communities. 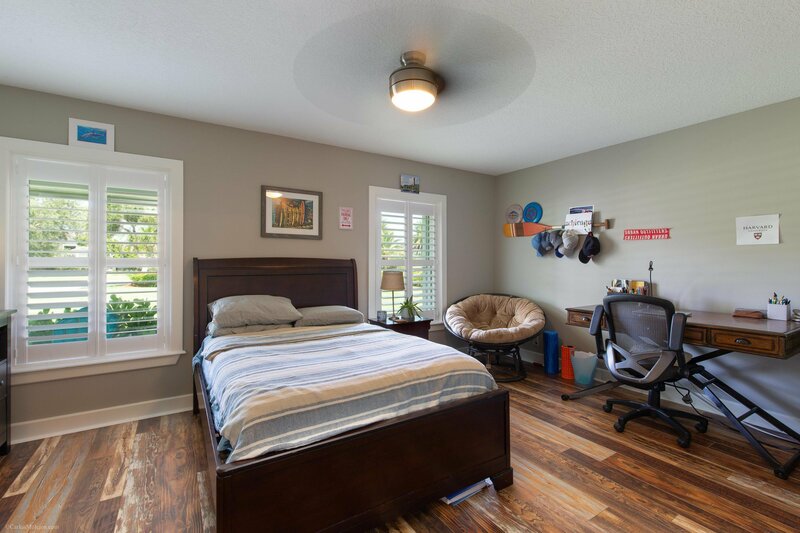 This home has been recently updated with great taste. 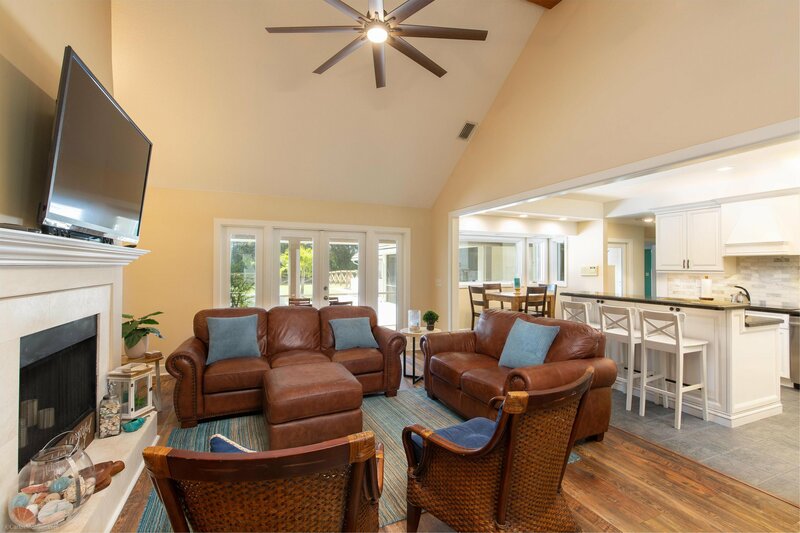 You will love entertaining with the open living room and kitchen. 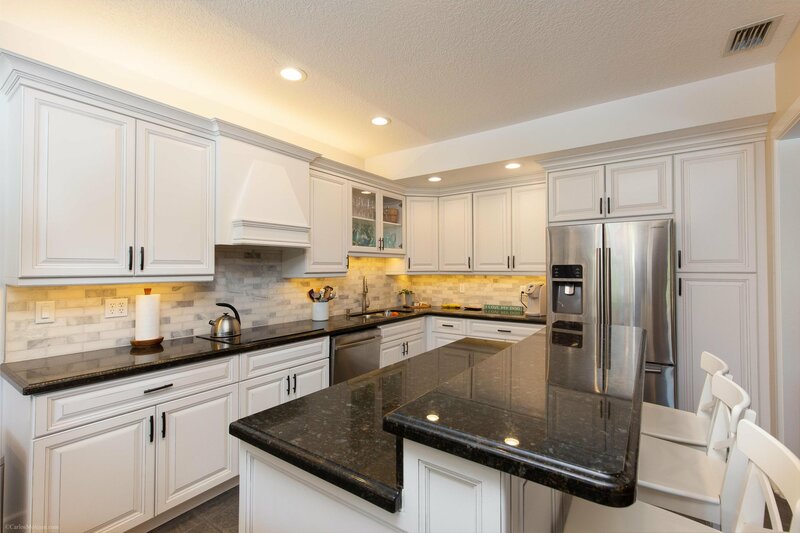 The kitchen is a wow with upgraded cabinets, granite, back splash, stainless steel appliances and an eat-in area. 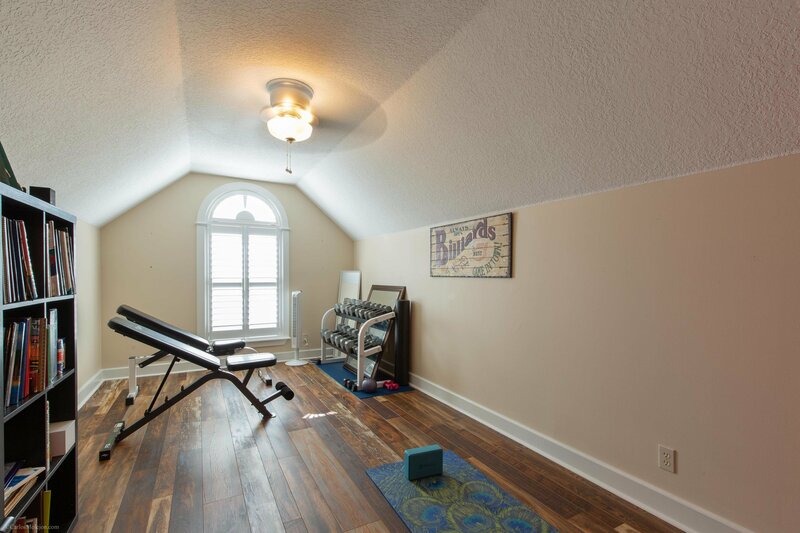 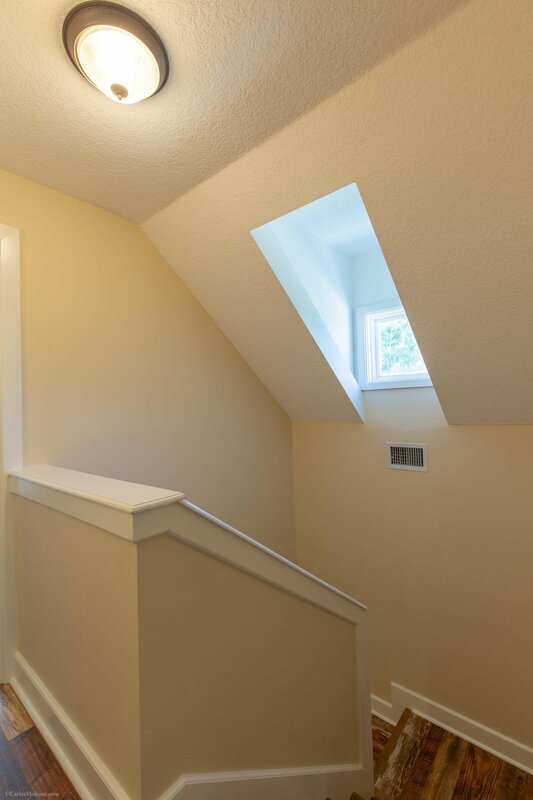 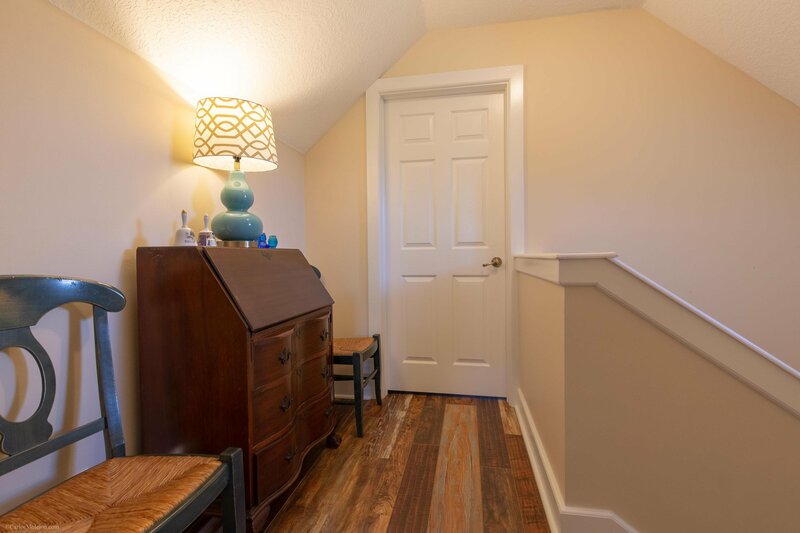 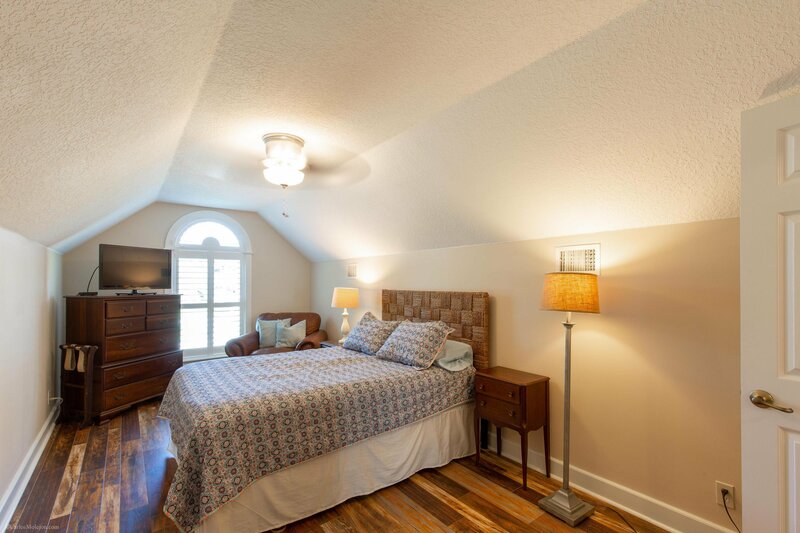 There is a 2 car attached and a 4 car detached garage, plus 2 large bonus rooms upstairs, perfect for an office, playroom, studio or even guest rooms. 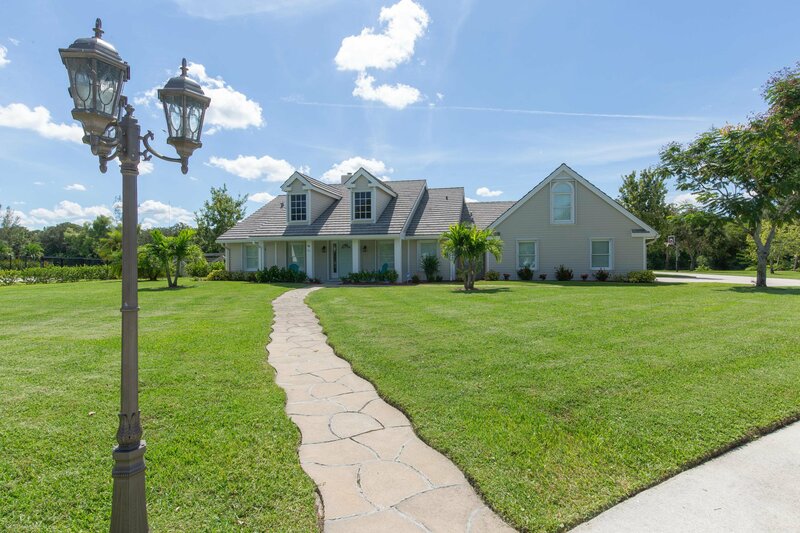 This home has been freshly painted inside and out, new fence has been installed in the back yard. 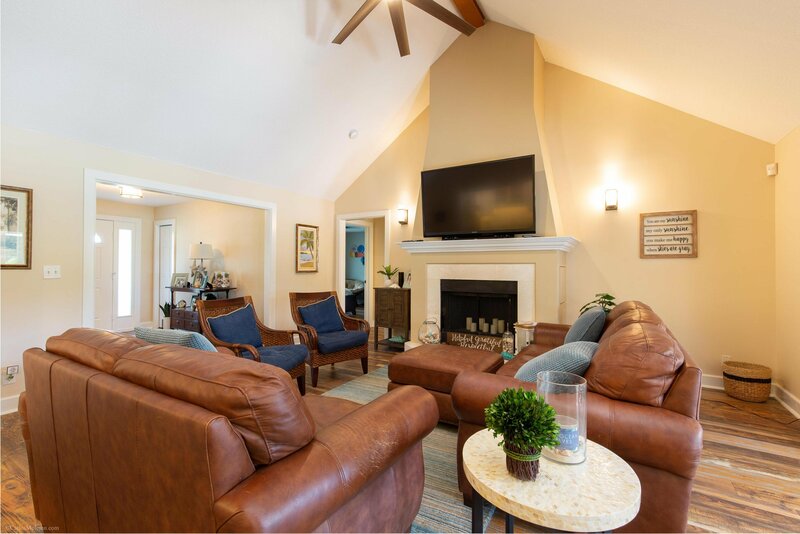 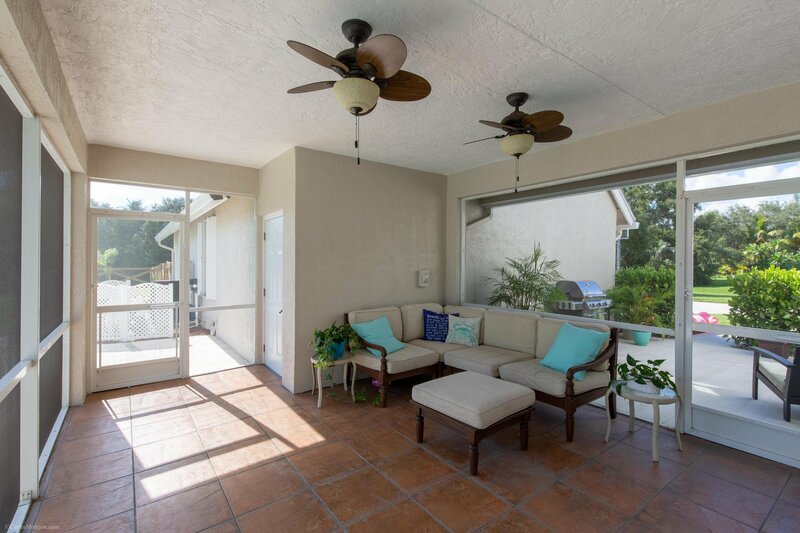 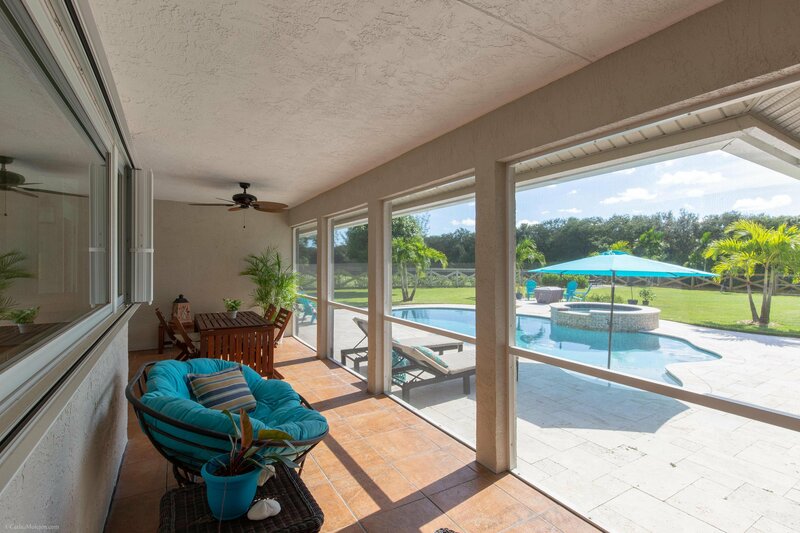 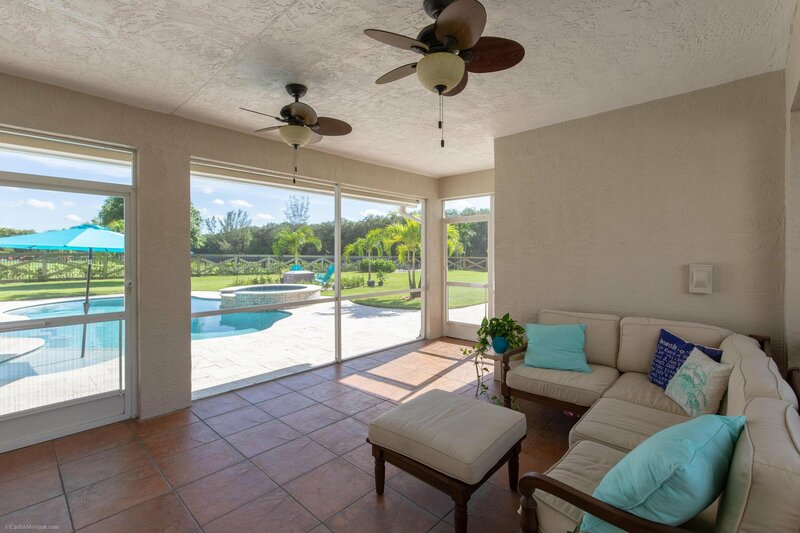 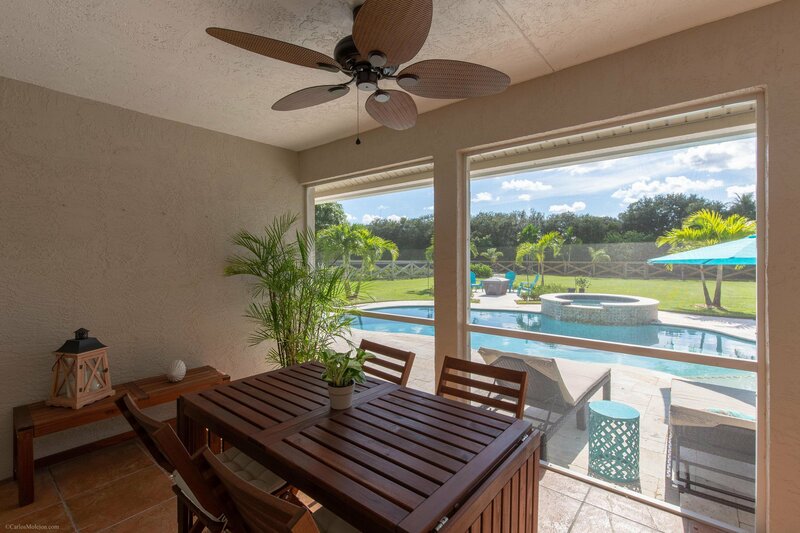 After a long day at work, one of your favorite areas will be the large screened patio that offers wonderful breezes and amazing sunset views, while enjoying a nice glass of wine or even reading a book. 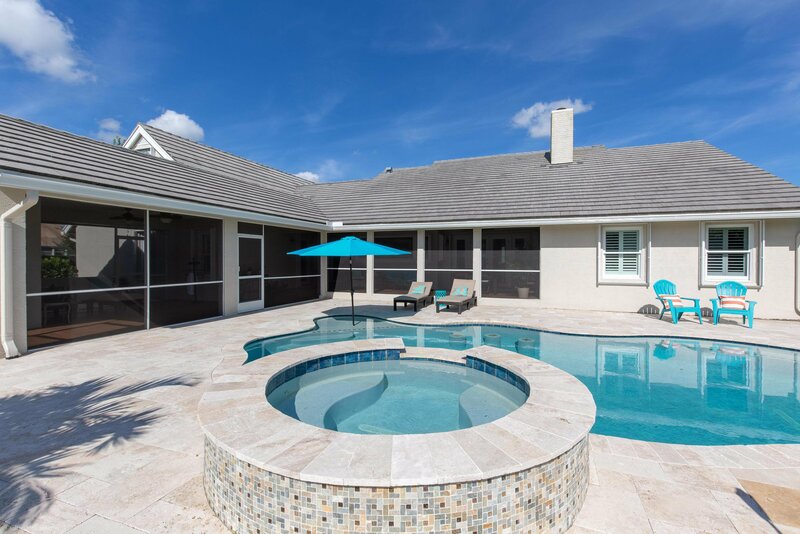 You can entertain in your back yard oasis by the brand new pool with hot tub, fire pit and beautiful tumbled travertine deck, while cooking a nice barbecue. 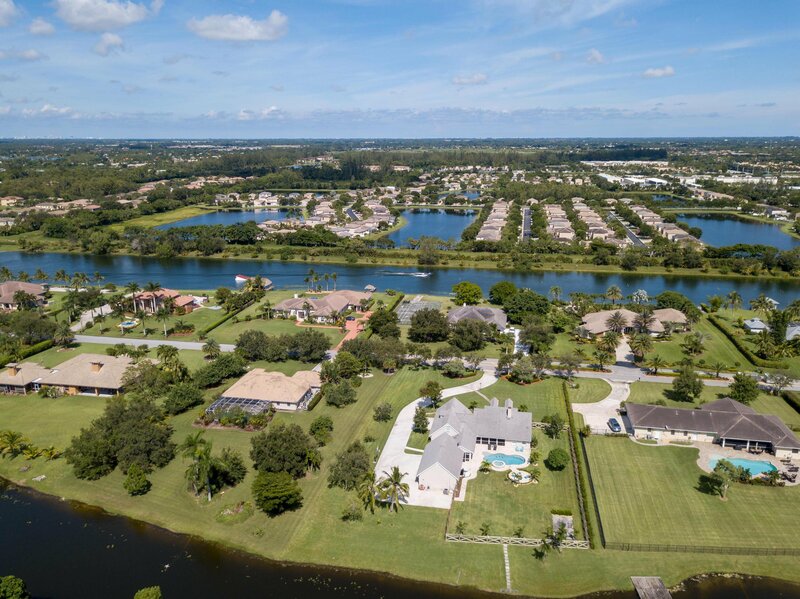 Are you a car fan or a boat lover? 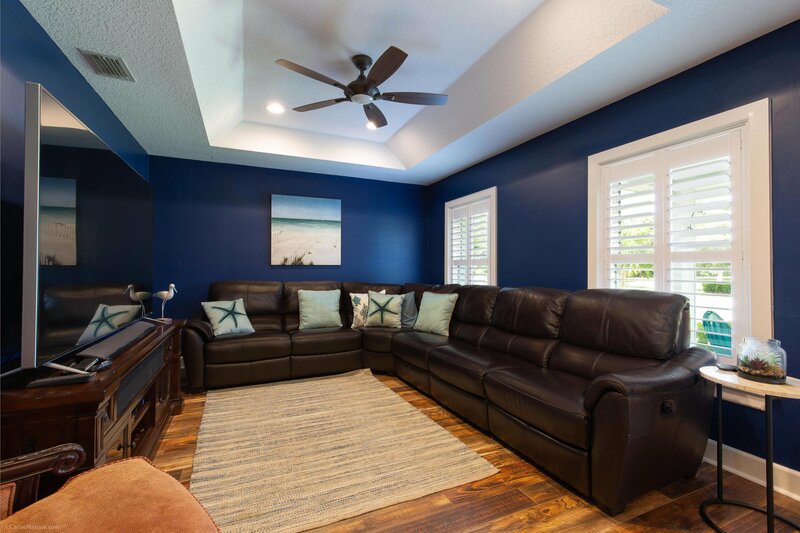 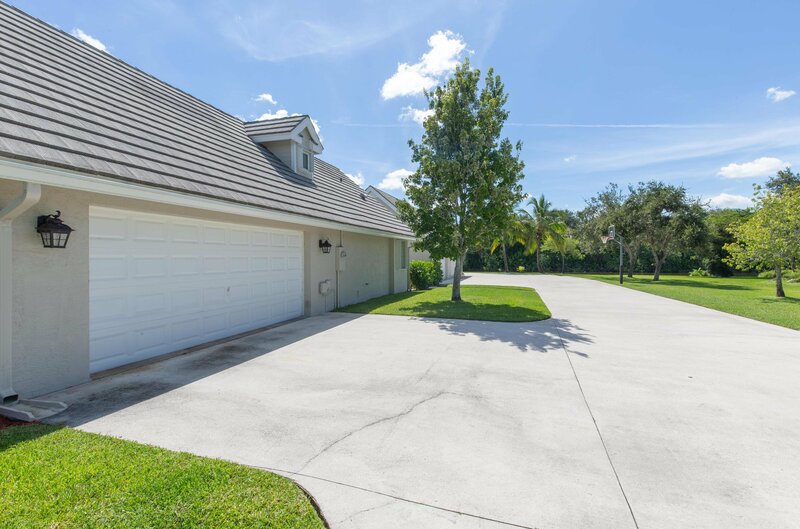 With the 4 car detached garage, you will have plenty of space for your favorite toys. 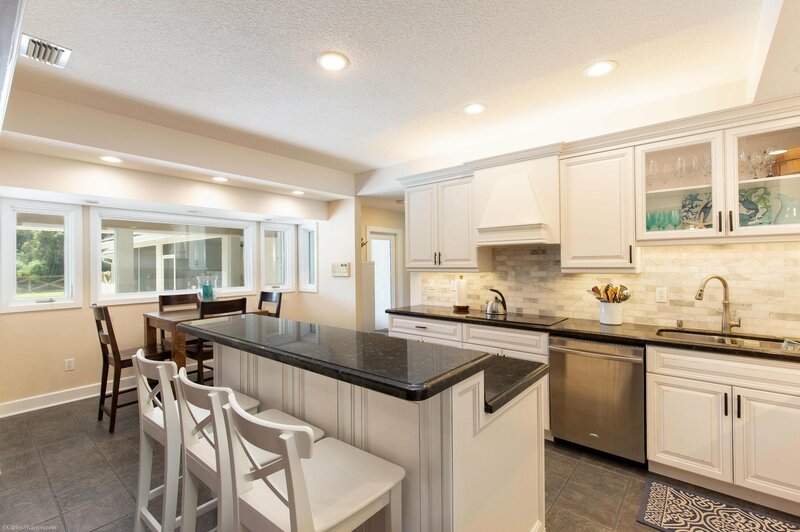 The 4 car detached garage is also an ideal space for a future in-laws house or guest house with over 1,000 square feet. 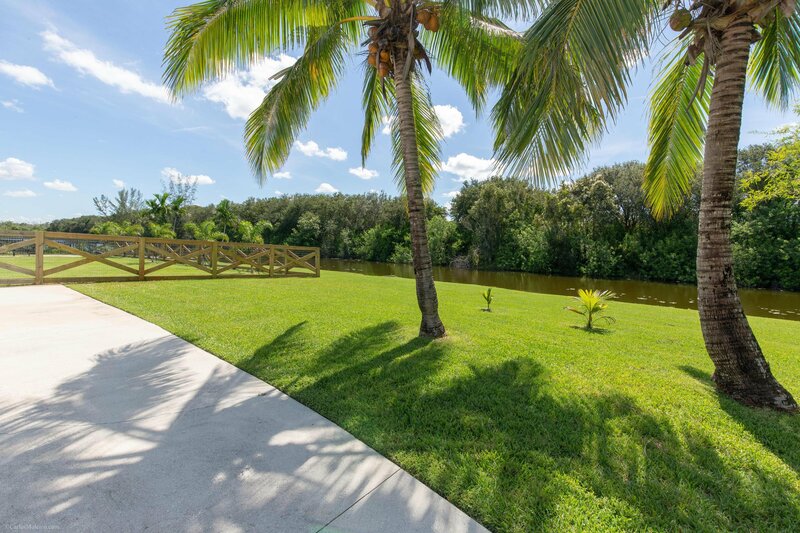 Extended driveway also gives you plenty of space to park an RV or larger boat. 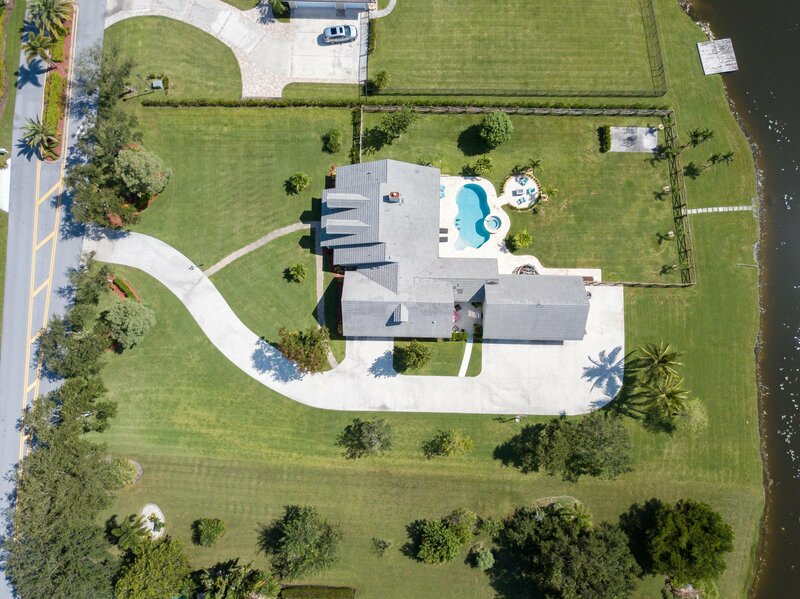 Listing courtesy of Engel & Volkers Wellington. 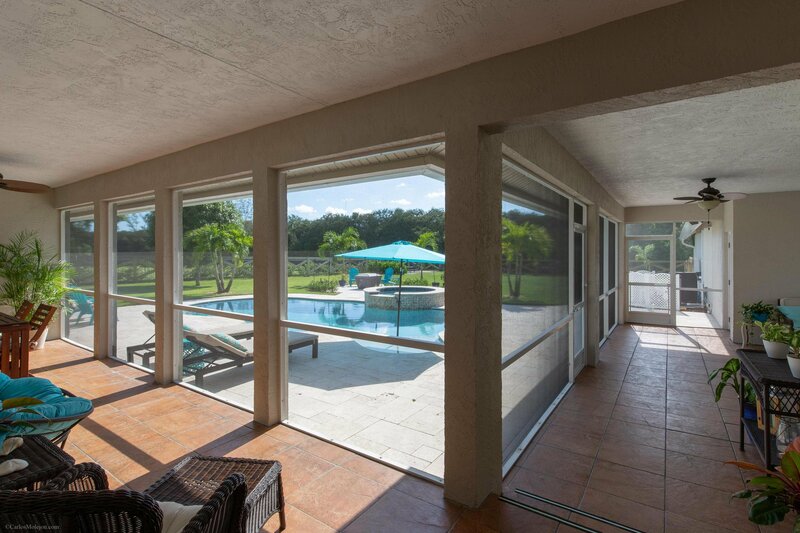 Selling Office: Sovereign Real Estate Group.